Firstly, thanks to everyone who have visited mohanma.com. 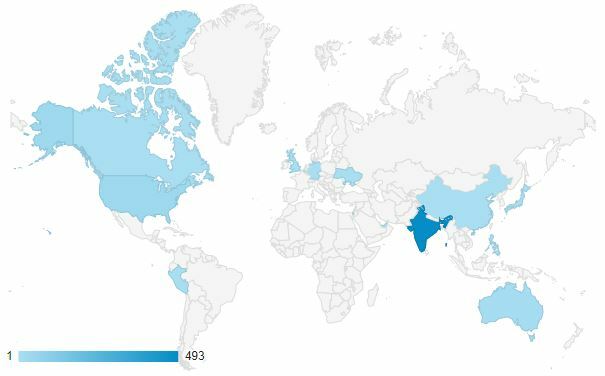 The above image shows the global footprint of mohanma.com. The total number of sessions so far has been 563. India leads in web traffic with 493 sessions. 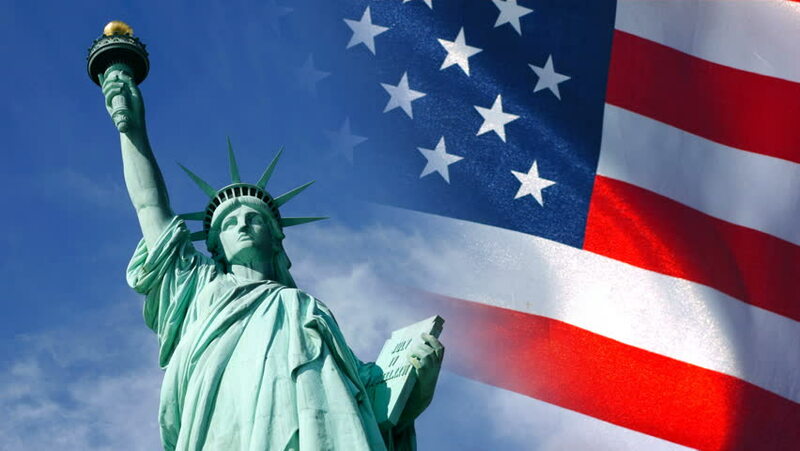 Followed by United States of America, Australia and United Kingdom. Traffic has been flowing in from different parts of Europe, Canada, Peru, China, Japan, etc as well. To be frank, I have been surprised with the kind of response that mohanma.com has been receiving from day 1. Thanks to all the readers, well-wishers who have been pouring in their feedback via WhatsApp, Facebook and the comments section on website. 1)	Part of Concurrent Programming. 1)	Integral part of Concurrent Programming. 2)	A process has a self-contained execution environment. 2)	A thread is a lightweight process. 3)	Process has its own memory space. 3)	Threads share the process's resources, including memory and open files. 4)	Processes are synonymous with programs or applications. 4)	Threads do things such as memory management and signal handling. 5)	A Java application can create additional processes using a ProcessBuilder object. 5)	A Main thread has the ability to create additional threads. 6)	To facilitate communication between processes, most operating systems support Inter Process Communication (IPC) resources, such as pipes and sockets. 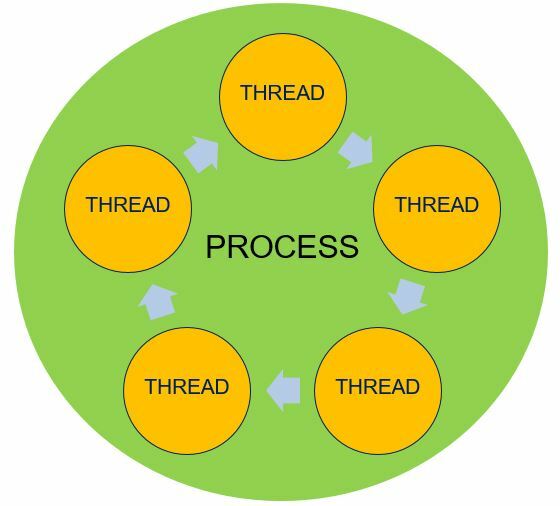 6)	Threads exist within a process. This makes for efficient, but potentially problematic, communication. Processing time for a single core is shared among processes and threads through an OS feature called time slicing. Time Slice or Preemption : A technique to implement multitasking in operating systems. The period of time for which a process is allowed to run in a preemptive multitasking system is generally called the time slice or quantum. The scheduler is run once every time slice to choose the next process to run. 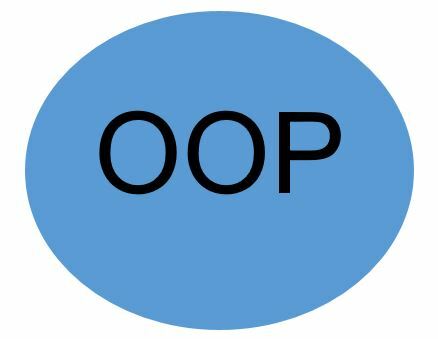 OOP is based on “objects“. An object can perform a set of functions. The functions that the object performs defines the object’s behavior. For example, the Batsman(object) can play shots or a Bowler(object) can Bowl. report on and change their state, and interact with other objects in the system. Encapsulation is the process of enclosing data and functions into a single element. using parent objects properties to maintain the same behavior in the child object. Polymorphism is the method of having a single interface to objects of different types. Java, Python, C++, C#, Perl, Ruby , Objective-C, PHP, et al. How and What I learnt being an Entrepreneur ? It all started with the iAccelerator program of IIM-Ahmedabad in 2010, when most of my batch-mates and peers were busy preparing for semester exams, I was at IIIT-Bangalore pitching my first startup plan. Please find the screenshot of feedback I am sharing below. 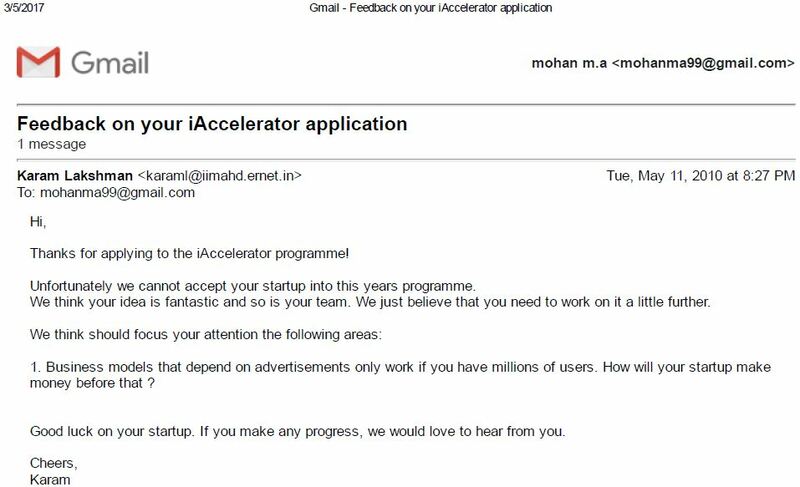 Even-though my pitch couldn’t make it that year, the sense of clearing the application round and being invited to IIIT-B in itself was a big boosting success for me. This was at a time when startup was not a buzzword in India(pre smartphone era), startups in India had just started keeping their baby steps. I am a first generation Entrepreneur. Initially entrepreneurship was just an attraction(2009-sophomore year), I remember there was a delegate who was in our college as part of student interaction program from USA, he was explaining a hall of 100-150 students about the trends in US where students dropout to start their own website/company(Facebook was 5 year old startup at this point). I had announced to the hall and him saying “you got it mate, I will have a website” with lots of adrenaline rush. Professors in my college were very supportive at this stage, I have discussed a lot of my ideas with professor Pushpalatha K N(Linear Integrated Circuits and Applications) who was always encouraging me. Also, professor Deepa N P(micro-controllers) was keen on helping me setting up a web portal way back in 2009. And not to forget professor Nirmal Kumar Benni whom I could meet only during my final year was supportive as well. I just wanted to start a website to begin with, later I wanted it to be a networking platform, on further working I wanted it to be an educational platform, this was all on the paper. Years later, practically I started with a blogging platform, later upgraded to an E-commerce platform which was further brought under incorporation. Currently, I own 3 websites, 1 personal(mohanma.com), 2 brands(sumshowdone.com & bookcorridor.com) under 1 company(Sumshowdone Technologies Private Limited). I had my first job offer through campus placement in my final year of Engineering(2011). The thought of starting a company was always there, I had come close in 2013 but could never materialize plan into action that year. 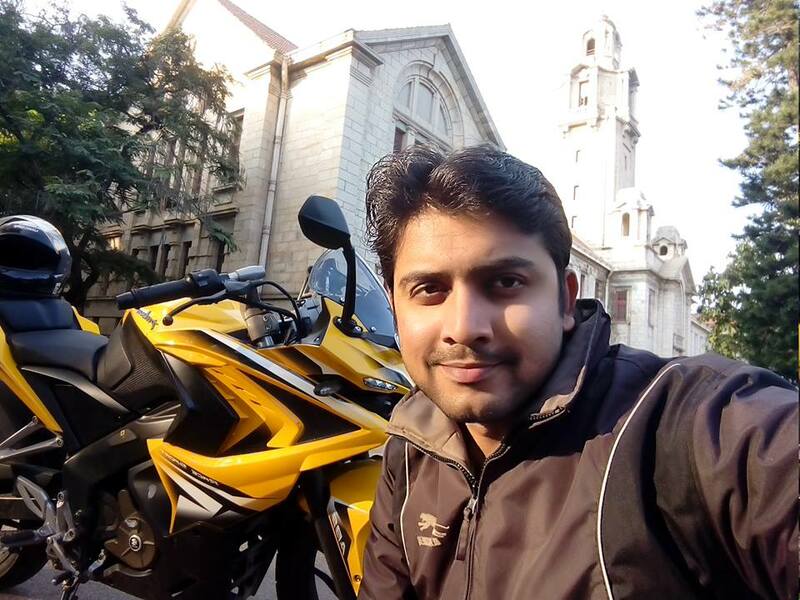 I owned my first website in 2014(sumshowdone.com), became a online merchant in 2015, incorporated a company in 2016, owned my second website(bookcorridor.com) in 2017 and owned my third website in 2018(mohanma.com – this was spontaneous). Startup landscape has seen a huge shift compared to 2010, the number of users in the industry that I operate has seen an upward lateral shift. The kind of people that I have got to meet in this field is something different from a corporate life. Entrepreneurship gives you freedom, with freedom comes great responsibility. Value creation is the biggest form of reward that an entrepreneur yearns for, if tomorrow you want to be an entrepreneur, you should be concentrating on a product or service that can change somebody’s life or make the buyer a happier person. If you want to do it you just do it(gut feeling). Never postpone, time is a very important resource. Reading plays a very important role in shaping your thought process. The amount of knowledge and learning you acquire being an entrepreneur is tremendous. An Entrepreneur should be ready to wear all hats from being a leader to a office boy. Each one of us is knowingly or unknowingly an entrepreneur at some point. I believe at the end it’s all about your temperament, your adaptability combined with serenity. The sort algorithm reorders a List so that its elements are in ascending order according to an ordering relationship. Two forms of the operation are provided. The simple form takes a List and sorts it according to its elements’ natural ordering. Fast: It is guaranteed to run in n log(n) time and runs substantially faster on nearly sorted lists. Empirical tests showed it to be as fast as a highly optimized quicksort. A quicksort is generally considered to be faster than a merge sort but isn’t stable and doesn’t guarantee n log(n) performance. 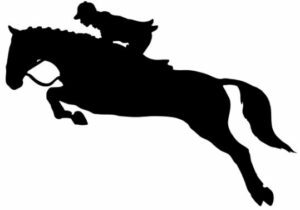 Stable: It doesn’t reorder equal elements. This is important if you sort the same list repeatedly on different attributes. If a user of a mail program sorts the inbox by mailing date and then sorts it by sender, the user naturally expects that the now-sequential list of messages from a given sender will (still) be sorted by mailing date. This is guaranteed only if the second sort was stable. The second form of sort takes a Comparator in addition to a List and sorts the elements with the Comparator. The shuffle algorithm does the opposite of what sort does, destroying any trace of order that may have been present in a List. That is, this algorithm reorders the List based on input from a source of randomness such that all possible permutations occur with equal likelihood, assuming a fair source of randomness. This algorithm is useful in implementing games of chance. One takes a List and uses a default source of randomness, and the other requires the caller to provide a Random object to use as a source of randomness. reverse — reverses the order of the elements in a List. fill — overwrites every element in a List with the specified value. This operation is useful for reinitializing a List. copy — takes two arguments, a destination List and a source List, and copies the elements of the source into the destination, overwriting its contents. The destination List must be at least as long as the source. If it is longer, the remaining elements in the destination List are unaffected. swap — swaps the elements at the specified positions in a List. addAll — adds all the specified elements to a Collection. The elements to be added may be specified individually or as an array. The binarySearch algorithm searches for a specified element in a sorted List. This algorithm has two forms. The first takes a List and an element to search for (the “search key”). This form assumes that the List is sorted in ascending order according to the natural ordering of its elements. The second form takes a Comparator in addition to the List and the search key, and assumes that the List is sorted into ascending order according to the specified Comparator. The sort algorithm can be used to sort the List prior to calling binarySearch. The return value is the same for both forms. frequency — counts the number of times the specified element occurs in the specified collection. disjoint — determines whether two Collections are disjoint; that is, whether they contain no elements in common. The min and the max algorithms return, respectively, the minimum and maximum element contained in a specified Collection. Both of these operations come in two forms. The simple form takes only a Collection and returns the minimum (or maximum) element according to the elements’ natural ordering. The second form takes a Comparator in addition to the Collection and returns the minimum (or maximum) element according to the specified Comparator. A collection or container is an object that groups multiple elements into a single unit, they are used to store, retrieve, manipulate and aggregate data. Interfaces: Interfaces are abstract data types that represent collections. Interfaces allow collections to be manipulated independently of the details of their representation. In object-oriented languages, interfaces generally form a hierarchy. Implementations: These are the concrete implementations of the collection interfaces. Implementations are reusable data structures. Algorithms: Algorithms are the methods that perform useful computations, such as searching and sorting, on objects that implement collection interfaces. 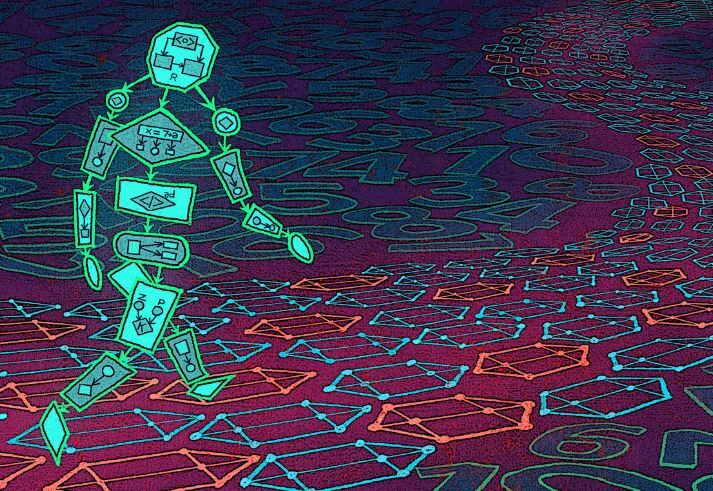 The algorithms are said to be polymorphic: that is, the same method can be used on many different implementations of the appropriate collection interface. Algorithms possess reusable functionality. The collection interfaces encapsulate different types of collections. These interfaces allow collections to be manipulated independently of the details of their representation. 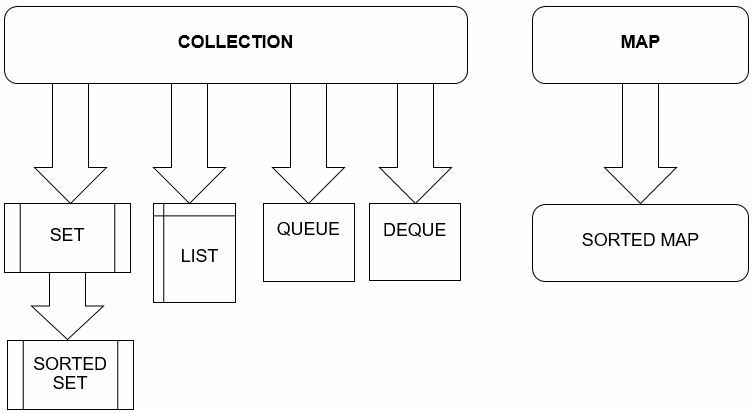 Collection — the root of the collection hierarchy. A collection represents a group of objects known as its elements. The Collection interface is the least common denominator that all collections implement and is used to pass collections around and to manipulate them when maximum generality is desired. Some types of collections allow duplicate elements, and others do not. Some are ordered and others are unordered. The Java platform doesn’t provide any direct implementations of this interface but provides implementations of more specific subinterfaces, such as Set and List. Set — a collection that cannot contain duplicate elements. SortedSet — a Set that maintains its elements in ascending order. Several additional operations are provided to take advantage of the ordering. Sorted sets are used for naturally ordered sets, such as word lists and membership rolls. List — an ordered collection (sometimes called a sequence). Lists can contain duplicate elements. The user of a List generally has precise control over where in the list each element is inserted and can access elements by their integer index (position). Queue — a collection used to hold multiple elements prior to processing. Besides basic Collection operations, a Queue provides additional insertion, extraction, and inspection operations. Queues usually order elements in a FIFO (first-in, first-out) manner. Deque — Similar to queue but Deques can be used both as FIFO (first-in, first-out) and LIFO (last-in, first-out). In a deque all new elements can be inserted, retrieved and removed at both ends. Map — an object that maps keys to values. A Map cannot contain duplicate keys; each key can map to at most one value. SortedMap — a Map that maintains its mappings in ascending key order. This is the Map analog of SortedSet. Sorted maps are used for naturally ordered collections of key/value pairs, such as dictionaries and telephone directories. If an unsupported operation is invoked, a collection throws an UnsupportedOperationException. Note: All core collection interfaces are generic. ICC U19 World Cup 2018 is special for India because the performance of this team has been clinical and simply outstanding. Look at the track record starting from match 1 that India played in this tournament. The margin and the rate at which these boys have won matches has been phenomenal. One man behind this stupendous show is ‘The Wall – Rahul Dravid’. Not to forget the contribution of other coaches and support staff involved with this team. Dravid, would definitely be a happy coach after winning the cup which his boys(different team) had lost a couple of years ago in the final. This is India’s 4th title overall and 1st on New Zealand soil at under 19 level. i) To score runs patiently. ii) To put a price on their wicket. iii) To care for every single run. Prithivi Shaw, Shubman Gill, Manjot Kalra, Anukul Roy have been the pick of this tournament. Rahul Dravid comes from the old school of thought in going through the grind to master skills. This can be seen even today when he instructed the young boys to stay away from mobile phones till finals and concentrate on the tournament instead of IPL auctions. Well, I remember reading in local newspaper that Dravid owns a plot in HSR Layout, wish he builds a home here so that I can meet him sometime in the future and brag he lives in my neighborhood. Harsha Bhogle had once called Dravid as “the Wolf who lived for the pack”, well the wolf has grown now to guide the whelps. Congratutions to U19 Indian cricket team and the coaches, including Rahul Dravid.